The company consisted primarily of men from Woodstock and Shenandoah County. It was led by Captain John F. Magruder (standing center). Standing at the far right is Hugh Kneisley the company's 1st Lieutenant. 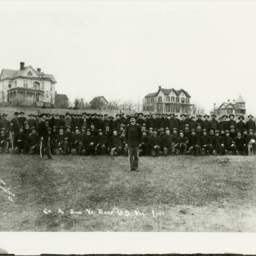 Samuel Clower is pictured standing at the far left. The other individuals are unidentified. The photograph was taken near the railroad tracks on what was known as the "Commons" in Woodstock. This open space was traditionally reserved for community events. In 1904 the Woodstock School was built on a portion of the property and the land was divided by W. Court Street. The center house at rear was demolished but the one on the left and right still stands. 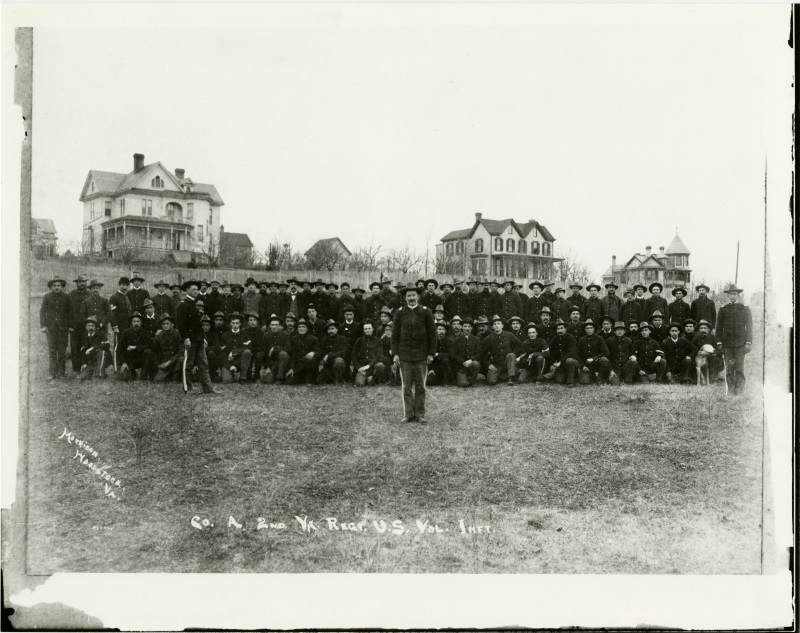 Company A, 2nd VA Regiment US Volunteer Infantry, Woodstock VA, 1898, Shenandoah County Photograph Collection, Truban Archives, Shenandoah County Library, Edinburg, Virginia. Hugh Morrison, “Co. A 2nd VA Regt. U.S. Vol. Inft.,” Shenandoah County Library Archives, accessed April 22, 2019, http://archives.countylib.org/items/show/12353.